Address: 682470 Khabarovsky kray, Ayano-Maysky r-n, s. Ayari, Sovietskaya st., 8. Zapovednik Dzhugdzhursky, in the northern part of Khabarovsky Krai, was founded in 1990, its area is 360,0 thousand ha of dry land and 53,7 thousand ha of sea area. The territory includes the central part of the Dhugdzhur Mountain Ridge, the southern part of the Pribrezhny Ridge (in the basin of the Lantar River) and the Okhotsk Sea area including the Malminskye islands. The relief is mountainous with alpine type ridges prevailing. The Dzhugdzhur Ridge goes along the line of the sea 50-100 km from the shore and serves as a watershed for the rivers between the Arctic and Pacific oceans; heights are 1400-1800 m above sea level, with the highest point on mountain Topko at 1906 m above sea level. The Pribrezhny Ridge is lower (600-800 m above sea level). The rivers flowing into the Okhotsk Sea have the character of mountain streams; on the western slopes of the Dzhugdzhur Ridge they are much more calm. Lakes are of two types: mountain and valley. Lake Antykan serves as a resting place for waterfowl during their spring and fall migrations. 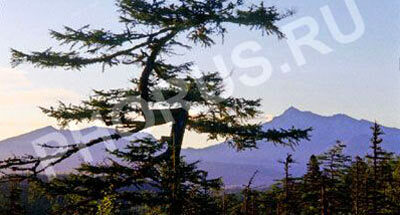 The main forest-forming breed is Dahurian larch. Crooked forest of larch with thickets of elfin cedar is characteristic. On the southern slopes pine forests grow in some places, and on river terraces there are spruce forests. 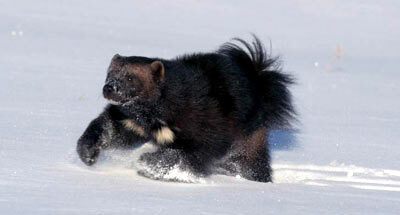 In the fauna mountain-taiga species prevail (elk, brown bear, sable, Tetrao urogallus, skunk bear, nutcracker); there are also typically arctic species (rype, rough-legged buzzard), and Central-Asian species (bighorn sheep, black-capped marmot, rock pipit). Of species in the Red Data Book of the Russian Federation there are in the Zapovednik the peregrine falcon, golden eagle, Arctic falcon, Steller’s sea eagle, fish hawk, and fool hen.